I hope that you have greatly enjoyed the festival. The fact that you attended the festival in good numbers despite the rain tells us how much you look forward to it and how much you are committed to the continuity of the event. I would also like to express my appreciation to members of the Ethiopian Sports and Culture Federation in the UK who run this event on voluntary basis and mainly from their own money which they contribute each year. The event was a success in many fronts including in the variety of activities, people’s participation, representation of the cross section of our community,managing attendance of guest of honor, smooth running of the event and timely closure. 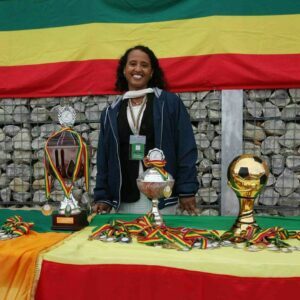 As the youth should be the primary beneficiaries of the event 12 football teams have competed in this year’s event tournament and I am happy to announce that East London Ethiopian Team is the winner of the cup named in memory of the late gashe Solomon Tessema, a legendary football commentator, sports journalist and a famous song writer. 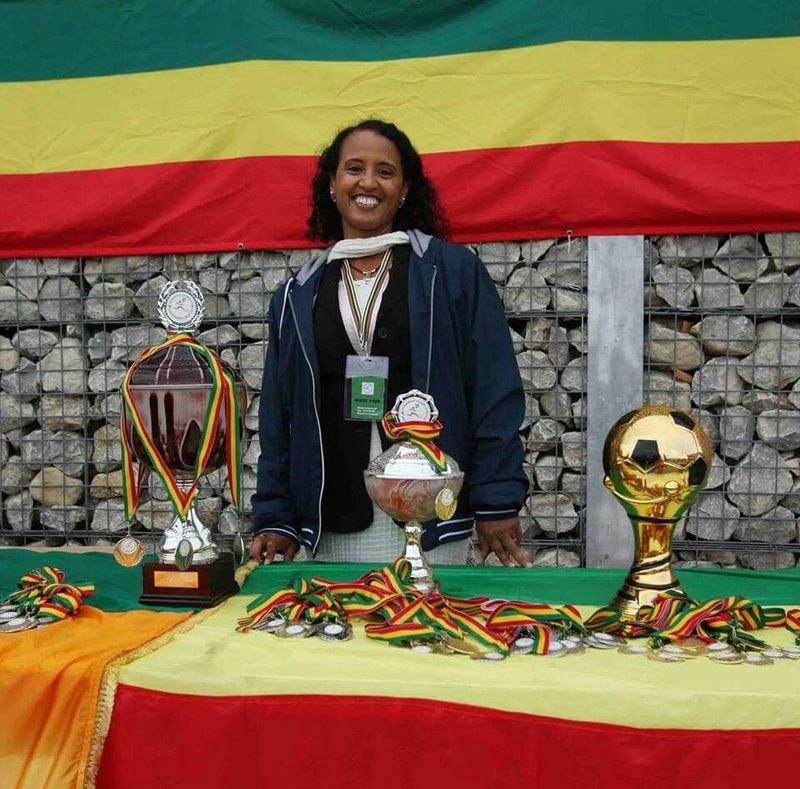 We were fortunate enough to have Elisabeth Solomon, the daughter of gashe Solomon Tessema, to have attended the event and hand over the cup to the disserving team. 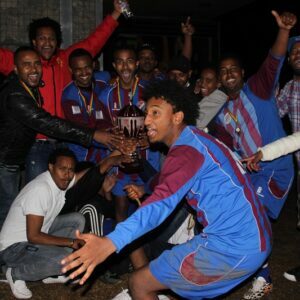 Congratualtion East London Ethiopian Team! 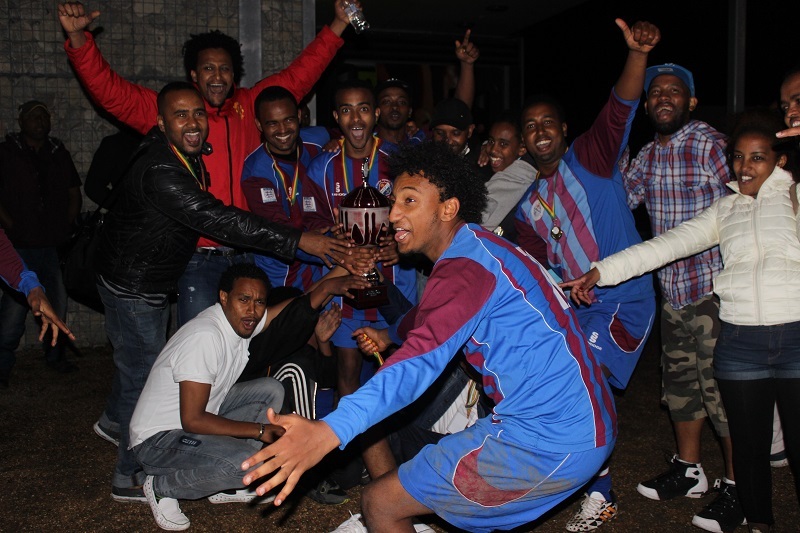 The various competitions such as in football and athletics help young Ethiopians meet, play and have fun with each other, develop further skills and talent and most of all learn the spirits of sport – tolerance and peaceful engagement with others with no qualms over losing. The children’s athletics event had also been a highlight of the event where parents and supporters cheered the little ones and encouraged them to the finish line. It was a fabulous and emotional experience. We promise to parents that in next year’s event we will accept even larger number of young people and organize it better in line with your request. I would like to thank you all not only for coming to the event and many of you for participating in the various activities but also for showing such great sportsmanship without any incident and for being a such a good example for generations to come. The surprise visit of Yegna ( የእኛ) – the popular Ethiopian girls band, was the icing on the cake. They mingled among hundreds of fans and danced and took pictures with the delighted crowd. They explained what they do in Ethiopia to empower women and reminded people that women empowerment is a real challenge that all should up hold for the betterment of society. It needs no reminding that despite the fact that the Federation has taken the responsibility of helping people in our community and especially the youth into sport for purposes of physical and mental health and communal well being, it is the responsibility of parents as well and we need to work together to raise standards in our community. We are also about teaching our cultural heritage to our youth and thus we need cooperation in this area too from parents and people in the community in general. Thus, anyone who can support us in any of the areas of activities above please contact us anytime through our email or telephone lines. Last but not least, we would like to express our gratitude to all volunteers who sacrificed their time, money and energy for the success of the event, to name a few: Dr. Ermias Kebede from EASY UK in ticket management, Artist Liya Seifu Tedla in engaging young people in art work, quiz show and announcements, Bisiete Yosias in making announcements, Natu Tesfai for helping the Federation immensely in organizing the tug of war contest and helping in athletics activities, Circus Ethiopia for their fabulous show and DJ Bini for going out of his way to make the event a success. 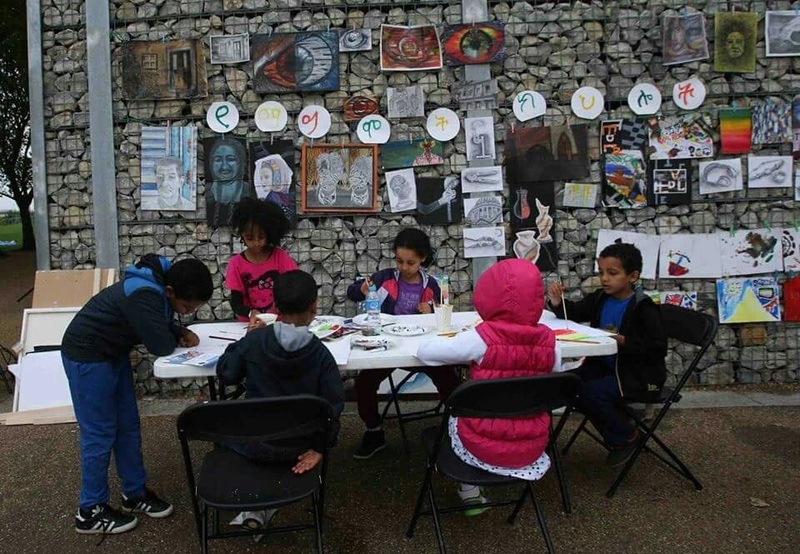 We want to thank you again for coming to the event despite the rain! We love you all and hope to see you in our ongoing activities before the 6th Annual event. 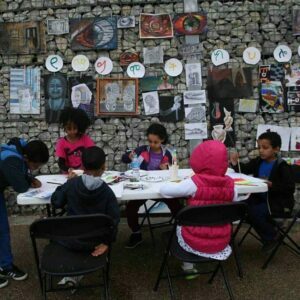 Related Post "Thank you message from ESCF UK Chairman Kassa Tadesse"